Thanks for joining me for my third installment in “Getting to know your diet type.” I hope you’ve found this series helpful so far for either yourself or someone you know. The diet type I’ll be discussing today is: the menopausal/postmenopausal woman. 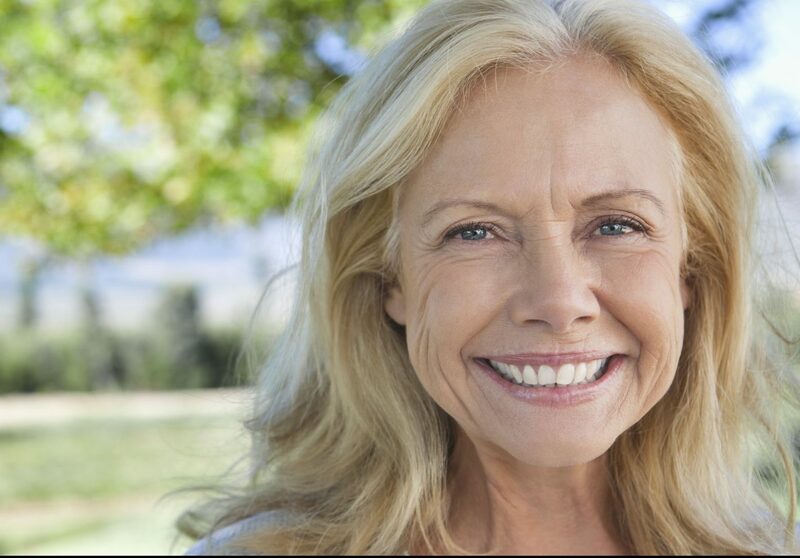 Most women experience menopause in their forties or fifties. The average age is 51 within the U.S.
After what can feel like a wacky roller coaster of symptoms during the perimenopausal stage, I assure you, things get a little easier once menopause has run its course. It’s easier for women to lose weight during this period, mainly because your hormones are in rapid decline, searching for new methods to maintain weight. Basically, the body is in reset mode as it adjusts to these hormone changes. If you eat right and add supplementation to your diet, you’ll set yourself up for success. At the same time, know that you may start noticing a shift in where your body stores fat — all due to rapid hormonal changes. You may find a little more weight starting to settle near the abdomen, instead of around hips and thighs. Exercises specifically targeting these areas can really help to strengthen weakening muscle mass. Another common change I see in menopausal/postmenopausal women is a slowed metabolism, due in part to a reduction in estrogen. A slowed metabolism causes your body to utilize blood sugar and starches less effectively, which can result in weight gain. Be sure to limit your intake of starches (potatoes, bread, pasta, rice, and beans) as well as foods that spike your blood sugar (processed foods, red meat, whole milk, sugar, juice, and dairy). Instead, stick to the Mediterranean diet and you can’t go wrong. Include plenty of omega 3’s, which are found in all types of fish. So, try to eat fish at least once a week. I also recommend eating lamb, eggs, nuts, watercress, fennel, endive, kale, broccoli rabe, asparagus, and swamp cabbage. Be sure to include healthy fats, most commonly found in olive oil and avocados. It’s also a good idea to incorporate herbal supplements that are particularly helpful to menopausal/postmenopausal women. Due to a slowed metabolism, finding ways to boost this is key. Your supplement superstars, glutamine and carnitine, are known to shrink fat cells and maintain muscle mass. Glutamine is particularly helpful in reducing cravings for sugar and alcohol as well. I recommend 500 mg, three times a day, to help slay the “sugar dragon” that follows many people day in and day out. Carnitine supports your body in releasing fat for fuel. It helps to burn fatty acids quicker, reducing the amount that is stored. This supplement also powers up your mitochondria, the energy-producing hubs of your cells. I recommend taking 500 to 1,000 mg in supplement form, three times a day. Branched-chain amino acids (BCAAs) are also a reliable supplement to keep your metabolism in check. You can find BCAAs in both my Amino Booster drink mix and in my A.M. Jump-Start and P.M. Reboot shots. Pike a great fish to work into your diet. It contains a healthy supply of essential amino acids your body needs as it undergoes or just completes menopause. Be sure that the fish you consume are wild and line-caught. Heat the avocado oil in a large skillet over medium-high heat. Add the asparagus and season with salt and pepper. Sauté until crisp-tender, 10 to 12 minutes. Meanwhile, in a shallow dish, combine the almond meal, cayenne, paprika, and salt and pepper. Coat the fish with the almond meal mixture. Heat the macadamia nut oil in another large skillet over medium heat. Add the fish and cook through until golden brown, about 3 to 4 minutes per side. Remove from the heat. When the asparagus is done, remove the skillet from the heat. Carefully crack the eggs overtop the asparagus. Broil for 1 ½ minutes. Remove and top with the grated Parmesan cheese. Drizzle the fish with the lemon juice, plate with the asparagus and eggs, then serve. The biggest obstacle for any dieting type is to find a personalized way to incorporate the diet into your way of life. Diets should not be something you go on and off of, like an amusement park ride. If you want to experience the ecstasy of the highs (losing weight and feeling good), you’ve got to feel the lows too (passing up that yummy-looking dessert or forcing yourself to exercise instead of watching TV). Diet must equal lifestyle. I understand that this is a commitment for life. That’s why in The A-List Diet book, now available in handy paperback, you’ll find I’ve given a wide selection of choices when it comes to exercise, food, and supplement options. I’ve found this suits dieting types who want variety in their routine. For dieters who prefer structure and regimen, I’ve also laid out guidelines for success in an easy-to-follow format and explain the science behind my recommendations. All in all, my main goal is to help you make the best-informed decisions during your personal journey to the A-List.